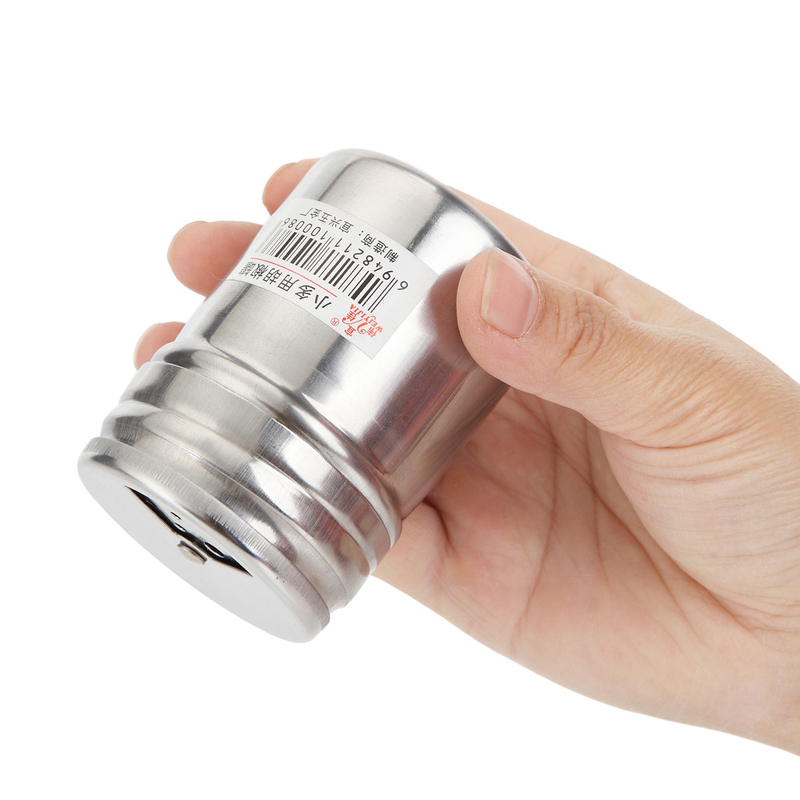 Convenient to use, great for kitchen, canteen, restaurant, BBQ, picnic, etc. 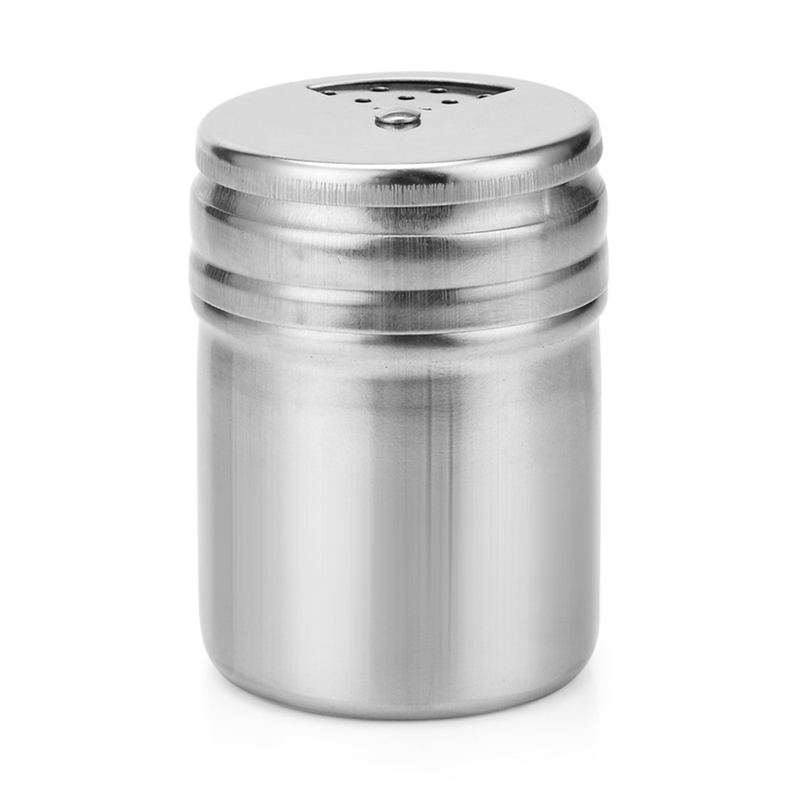 Made of stainless steel, corrosion-resistant and easy to clean. 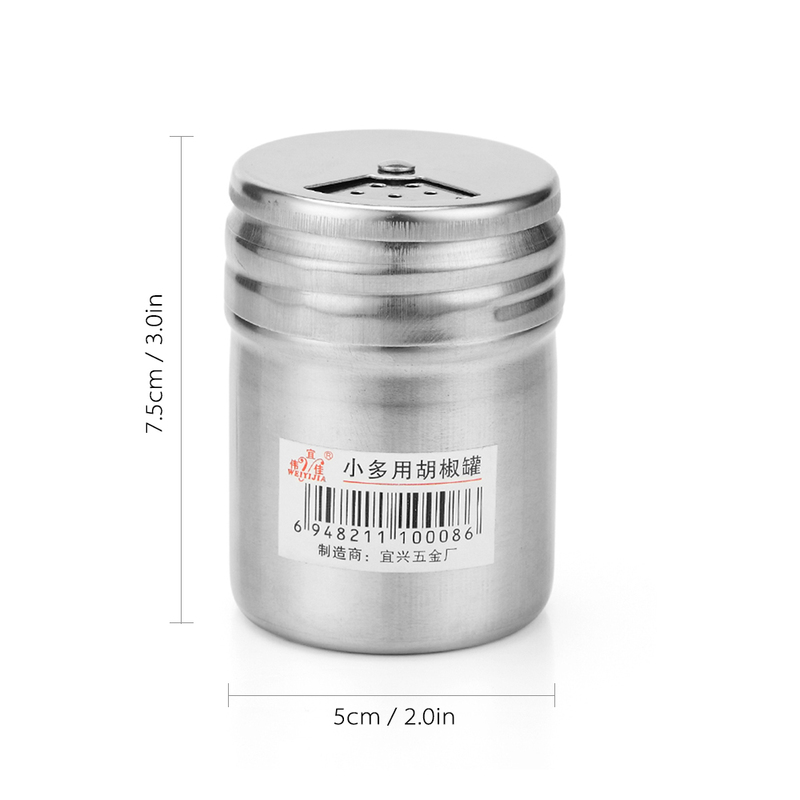 6pcs bottles per pack. 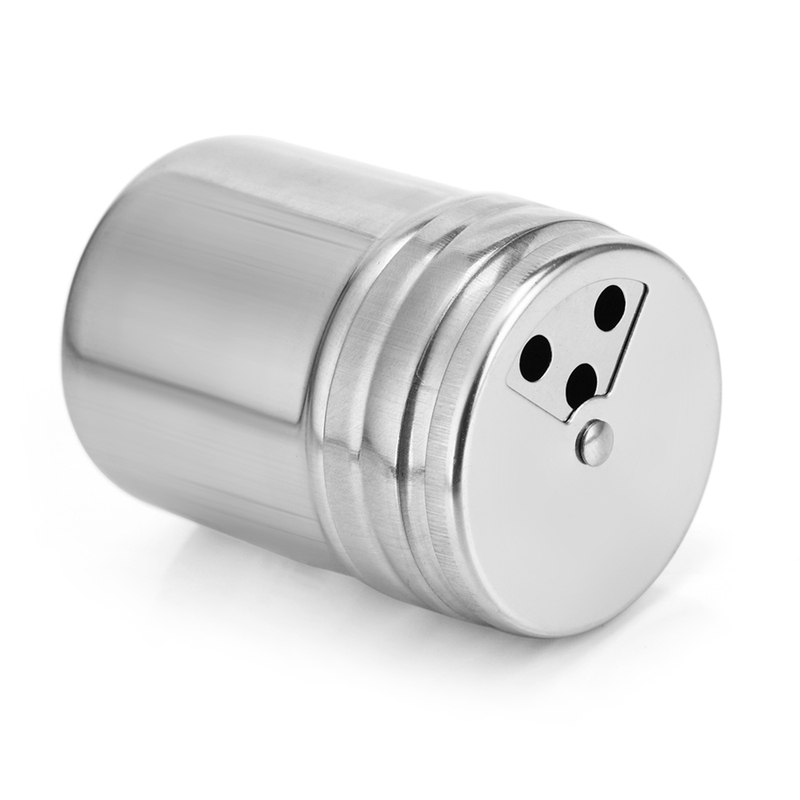 Dimension: 2.0″ * 3.0″ (D * H); Weight: 1.6oz each. 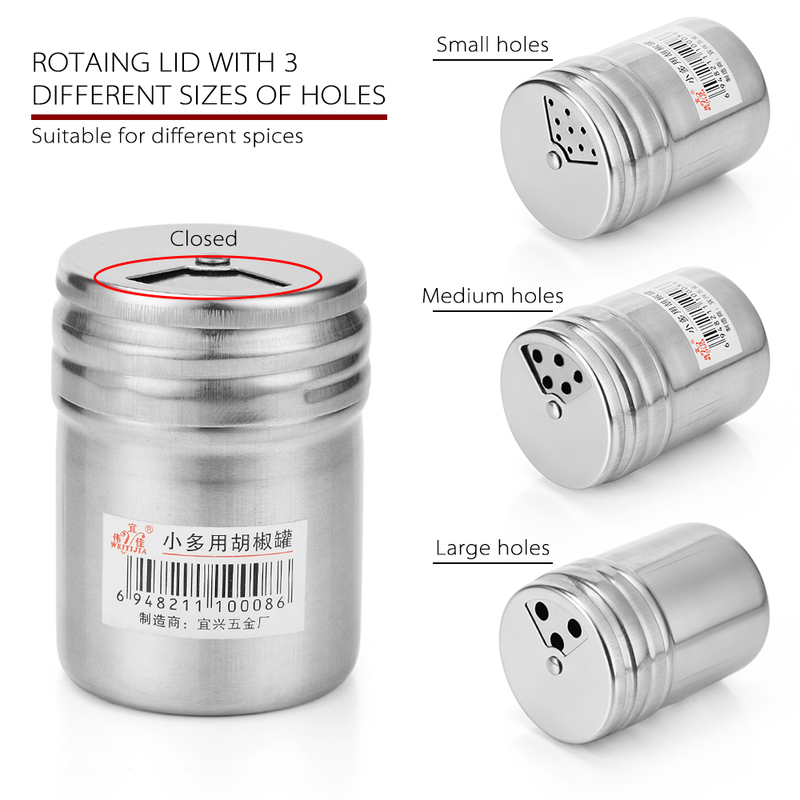 Rotatable lid with 3 different size holes (small, medium, large) for different spices. 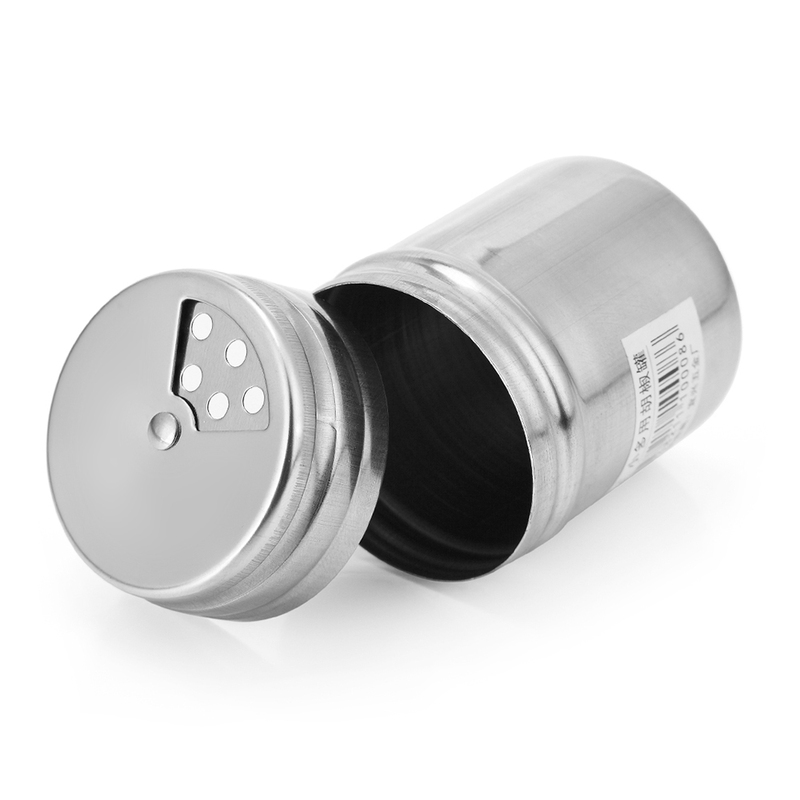 Protects spice from moisture and erosion, extends the storage time. 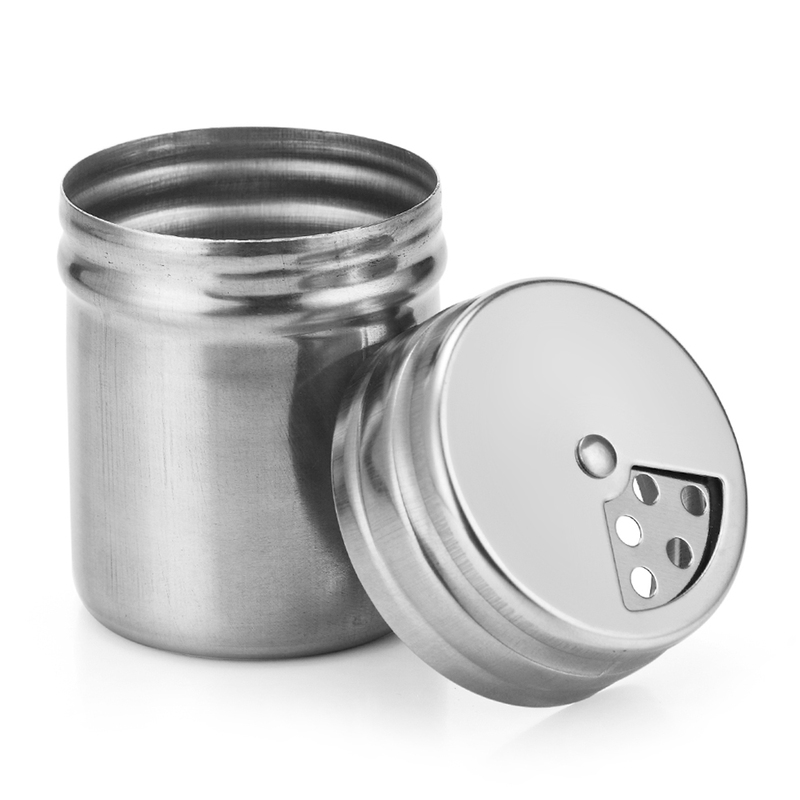 Perfect for home use, canteen, restaurant, and outdoor BBQ grill.